The leading IoT event will exhibit 10 experimental platforms designed to implement new industrial solutions. A submersible transformer inspection robot designed for oil and gas platforms, a fully connected and sensorized work environment that dramatically improves worker safety, a predictive analytics platform that can wipe out downtime in factories and a solution that allows the remote management of boats capable of informing in real time about ship status, water leaks or un expected presence in the ship. These are the first four projects announced to take part in the 2017 Internet of Things (IoT) Solutions World Congress Testbed Area. Held at Fira de Barcelona from 3 to 5 October, the event willshowcase 10 testbeds providing practical examples of how the industrial internet will change the way we produce and manage resources and businesses, transforming the global economy. Testbeds are experimental platforms designed to implement innovative solutions and test them in real-life operating conditions. These tests explore new technologies or combinations of existing ones with the aim of creating ground-breaking products or techniques with the potential to generate new international standards. The practical applications on show at the IoT Solutions World Congress will be coordinated and supervised by the Industrial Internet Consortium (IIC). ABB’s Submersible Transformer Inspection Robot encompasses VR driven remotely operated inspection robots able to operate in highly hazardous transformer environments. Today, inspection of the internal transformer environment for damage or routine maintenance in oil and gas platforms is only made possible by draining the oil from the transformer tank. This comes with significant health risks to the maintenance technician due to the exposure to highly toxic environments, as well as punitive downtime and inspection costs, and environmental hazards when draining to oil. This new solution reduces significantly these risks. Worker safety is also at the core of Wipro and IBM’s Connected Workforce Safety and Operations project. The solution features an edge layer including a variety of sensors integrated into wearables- such as helmets, watches, eyewear, and vests–, instrumented heavy equipment, gateways and access points; a platform layer that consists of device management and data analytics capabilities; and an enterprise tier that provides business applications and dashboards for an operations command center and emergency response teams.The testbed improves worker safety, workforce productivity, and helps reduce corporate risk by integrating smart wearables with smart infrastructure, while utilizing cognitive learning abilities. Unexpected downtime is one of the key issues that factories worldwide face and a joint project by PTC, Hewlett-Packard Enterprise, National Instruments, OSIsoft and Flowserve makes use of predictive analytics to reduce it. Exemplified through a Flowserve Pump Demo, this testbed will showcase how sensors providing data such as temperature, pressure, flow and vibration is processed at the edge allowing real-time detection of any anomaly changes in the performance of the pump. The demo also shows how Augmented Reality can then help troubleshooting and repairing directly on-site. The last of the first batch of testbeds to be showcased at IoTSWC 2017 is the Connected over Seas project by Vodafone, Hiruteknova, TST and Rodman. It offers customers a complete sensorical solution for their boats. Thanks to an application and the sensors installed in their boat, customers will be able to know the state of their boat at any time and from anywhere and will get information about battery status, water leaks and danger of sinking, temperature or even unexpected presence on board and will provide full control of the ship. 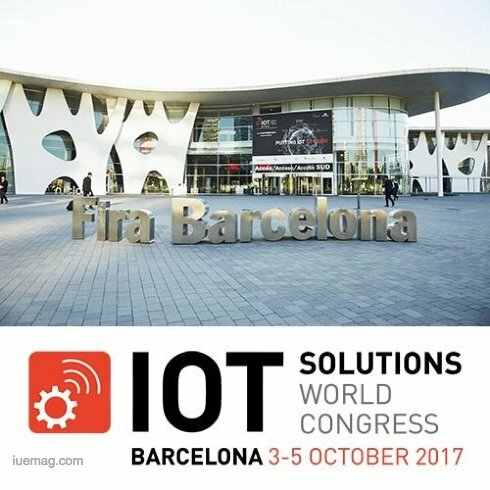 The third edition of the IoTSWC will be the biggest ever. The leading global event on industrial IoT will bring together over 220 companies and 250 international experts to discuss and showcase the latest products and applications of this disruptive technology that will change the business models in many industries and is already increasing production through automated processes. Over 120 exhibitors have already confirmed their participation in the IoTSWC 2016, making this the leading international event for the industrial internet sector. These firms include ABB, Accenture, Analog Devices, Dassault Systems, Deloitte, Deutsche Telekom, EMC, Everis, General Electric, Hewlett Packard Enterprise, IBM, Intel, Interdigital, Kaspersky, Microsoft, National Instruments, PTC, SAP, Schneider, Sigfox, Telefónica and Vodafone. ioTSWC will be part of the Barcelona industry Week, one of the world’s biggest trade fair platforms for industry both from a commercial and knowledge perspective, will take place from October 1-6 and will comprise several events: Expoquimia, Eurosurfas, Equiplast, IoTSWC, In(3D)ustry From Needs to Solutions, the World Congress of Chemical Engineering, the World Chemical Summit, and the Smart Chemistry, Smart Future event. The iUeMagazine team is delighted to work with Internet of Things Solutions World Congress as Online Media Partners & is expected to bring Unlimited Inspiration for all readers from the proceedings of this event. Staying tuned to the enriching updates from this event is recommended. Any facts, figures or references stated here are made by the author & don't reflect the endorsement of iU at all times unless otherwise drafted by official staff at iU. This article was first published here on 7th August 2017.